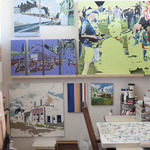 Open studio. Gallery. 30 Semi-Private spaces. Quiet space for writers. 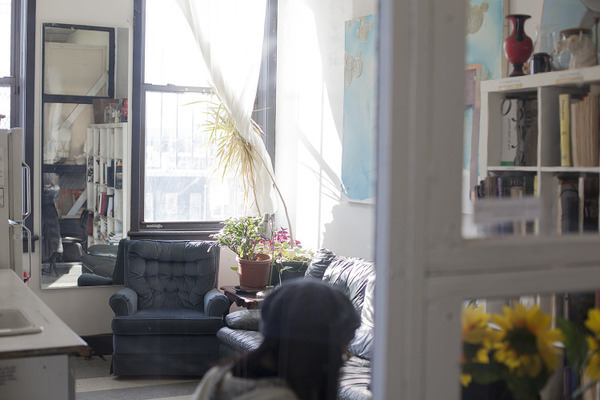 Brooklyn Art Space has an Open Studio, 30 Semi-Private spaces and hosts Trestle Gallery and Room 58, a quiet space for writers. 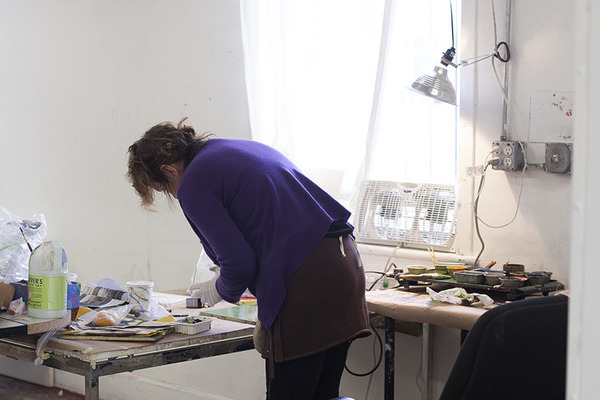 Additionally, BAS provides an array of workshops, professional development opportunities, art talks, studio visits, exhibition grants, and open studio events. 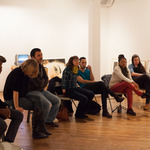 BAS also offers two residency programs: the Recent Graduate Residency and the Visiting Artist Residency. Brooklyn Art Space’s mission is to foster the growth of artists, engage the art community through educational programming, and make contemporary art accessible to public audiences. BAS seeks to aid any artist who might not otherwise have space to make, show and sell artwork without the help of a low cost studio, exhibition opportunities and professional development workshops. 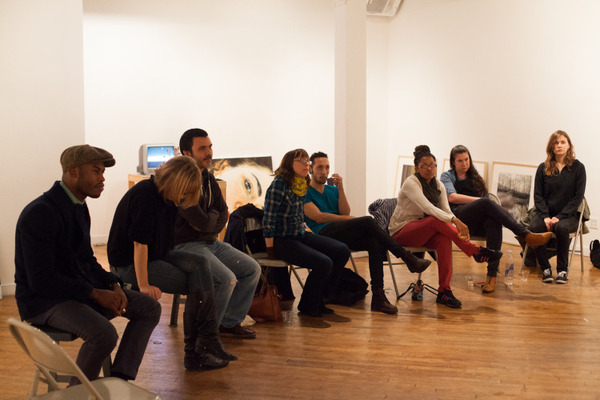 Trestle Gallery, as part of its exchange with Brooklyn Art Space, works to ensure artists of all levels have sufficient exhibition and professional development opportunities. All artists are invited to submit artwork to Trestle Gallery's many open-calls, to drop in for monthly critiques, to enjoy our artist talk series and to participate in weekly figure drawing sessions. In a combined effort, Trestle Gallery and Brooklyn Art Space seek to alleviate the typical pressures NYC artists encounter, while inviting collectors to view art in an active and singular environment. 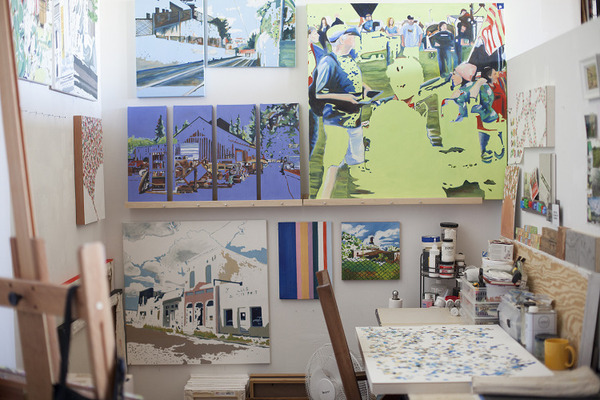 The gallery and studios are just steps away from one another, so visitors to our one-of-a-kind space have the opportunity to view featured artwork, works in progress and new works during one visit. 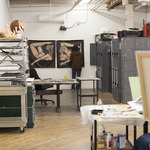 The Open Studio is a 4,000 square foot shared studio with abundant natural light throughout the day. In this space BAS provides tables, easels, and taborets. 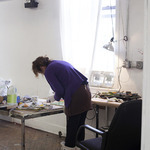 Members of the Open Studio are free to arrange the space as needed while they work. * The studio has high ceilings, white walls, heating/air conditioning, free Wi-fi, two slop sinks, trash/recycling areas, drying racks, and lockers. Semi-Private spaces vary in size, but range from approximately 8 x 8 to 11 x 11 feet. Many Semi-Privates have windows, and all have high ceilings, white walls, heating/air conditioning, free Wi-fi, and access to trash/recycling areas. Semi-Private members must bring their own equipment, but each space is highly customizable on approval by the Director. Trestle Gallery is a 900 square foot exhibition space that is home to diverse activities. 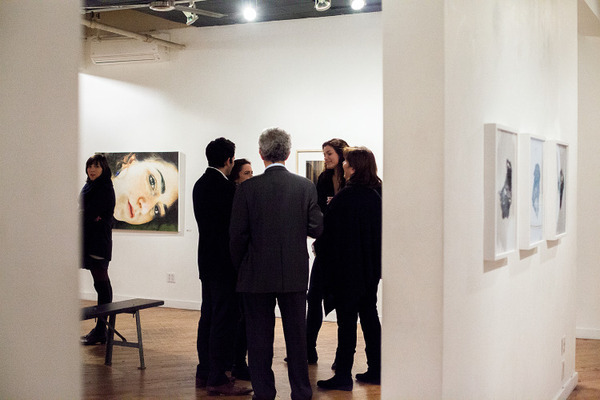 Trestle Gallery presents 15-20 exhibitions per year, four of which are exclusive to BAS members. Figure drawing takes place three times a week in this space, as do regular art talks and professional development workshops. 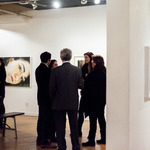 Trestle Gallery is also available to artists and curators through the Guest Curator Program and one-night event rentals. Room 58 is a designated space for writers to work. It is comprised of two quiet adjoining spaces totaling about 800 square feet. In both spaces, the area is divided into semi-private cubicles with a lamp, desk, outlet, and bulletin board. Room 58 also has heating/air conditioning, free Wi-fi, and access to printers and recycling.